Here’s a peek into what we offer our customers and clients. Contact us for access to our catalog. With our in-house design team and diversity of screen printing processes from hand printing to fully automated presses, we can ink your completed design or logo onto a variety of garments (business or personal), allowing us to cater a job for your project no matter the budget or size. We never charge set up fees for your design, either. We simply ensure the image or images are in the proper format, and print to perfection. Rush services available too. Perfect for logo’d giveaway shirts, events, and more. Contact us for pricing and more details. We have decades of experience designing apparel and have a talented staff of creatives that can help take your passion to the next level. Perfect for the family reunion organized by someone with a great idea but little artistic experience or for the business that would love to elevate its brand with a clever message or concept that goes far beyond the name or logo. Contact us for details on pricing and process. We go behind just screen printing. We also love embroidery. 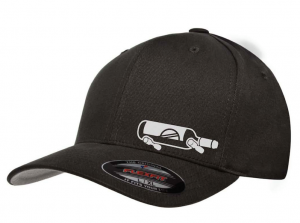 We have full capabilities to stich logos and other designs onto hats, jackets, polos, and more.